While chemotherapy and radiation can be highly effective treatments for cancer, they also come with side effects that can be uncomfortable or even painful, especially affecting the skin in the treatment area. As a matter of fact, most patients undergoing radiation treatment will experience at least some skin changes, most commonly redness, dryness, and soreness, which can occur anywhere that radiation is administered. Appropriate skin care after cancer treatment is vital to maintain comfort, prevent worsening of the condition, and promote rapid and full healing. The ingredients in Calendula, a Mediterranean plant, are known for soothing skin following radiation or topical chemotherapy. Calendula is specifically effective in diminishing redness, relieving soreness, reducing inflammation, and restoring moisture to dry, damaged skin. My Girls Skin Care offers a scientifically advanced skin care cream that provides healing through Calendula combined with benefits from avocado, rosemary, coconut, jojoba, and olive oils. Designed specifically for healing and recovery after cancer treatment, My Girls Calendula Skin Care Cream is the product of choice for treating skin damaged by chemotherapy or radiation. Once the skin has healed, the cream can be kept on hand to sooth sunburns, windburns, dermatitis, and dry, chapped skin. Using My Girls Calendula Skin Care Cream at least two times daily before, during, and after your radiation or topical chemotherapy with your doctor's approval can prepare your skin for treatment, protect your skin throughout the course of treatment, and help your skin heal and recover following your therapy. 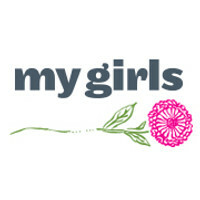 To learn more about My Girls Calendula Cream or appropriate skin care following cancer treatment, visit My Girls supportive site here.